Like to try a new beauty service at Salon One? 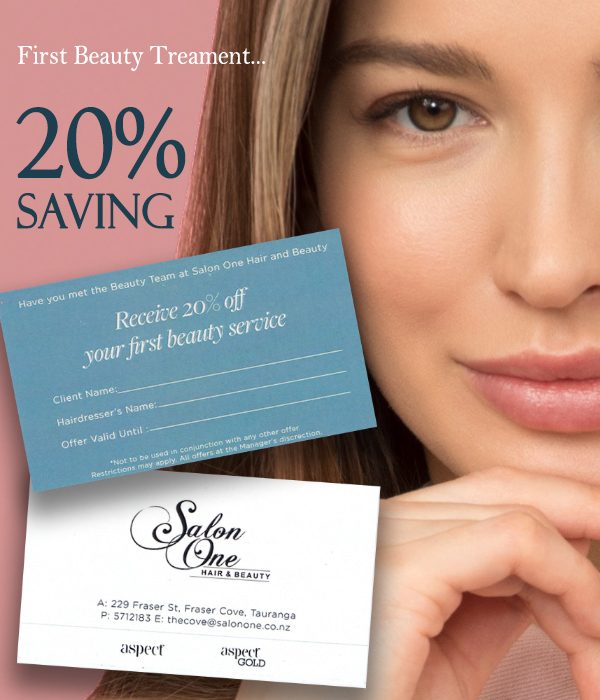 Try a new beauty treatment at Salon One and receive a fabulous saving of 20%. Offer applies to a new beauty service booked with Chontelle, Elise or Symmone. Call us on 07 571 2183 or email us for more information or to arrange an appointment.